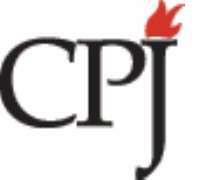 Lagos, Nigeria, February 22, 2017--Togolese authorities should ensure the safety of a journalist beaten by security forces and should fully and credibly investigate that assault, the Committee to Protect Journalists said today. Robert Avotor, a journalist for the biweekly newspaper l'Alternative, told CPJ that a vehicle intentionally hit him on February 19, in what he believes was retaliation for his legal complaints against the officers he accuses of beating him. Avotor left his house by motorcycle to buy bread at around 7:15 p.m. when he was hit by a four-wheel-drive vehicle. "I saw the vehicle coming up behind me at full speed. I left the pavement for the sidewalk, but the four-by-four vehicle...knocked me over. I have a stitch on my head and scrapes on my forearm," he told the news website iciLome . He said that he hoped to catch a view of the vehicle's license plate number, but that the street was deserted when he managed to get to his feet. Avotor told CPJ that he believes he was targeted for attempting to file two criminal complaints with the state public prosecutor against security forces who he said handcuffed and beat him on February 7 as he reported on evictions in the village of Akato-Viepe, just outside the capital Lome. Ferdinand Ayité, the director of l'Alternative, told iciLome that prosecutors had initially refused to accept Avotor's complaints. The journalist said he met with Togolese Minister of Security and Civil Protection Yark Damehane on February 20, informed him of the initial assault and the subsequent hit-and-run, and that Damehane promised to apprehend and punish his attackers, according to media reports. Damehane today told CPJ that the head of the team that Avotor said handcuffed and beat him had been arrested, and that the results of the ministry's investigation into the case would soon be made public. "Togolese authorities should ensure the safety of l'Alternative journalist Robert Avotor as he pursues justice for the assault he suffered simply for doing his job," said CPJ West Africa Representative Peter Nkanga. "We call on prosecutors to fully investigate that attack, bring his assailants to justice, and to ensure that he is protected from any attempts at retaliation." Avotor said that anonymous callers had repeatedly threatened him and demanded that he cease pursuing his criminal complaints. "We will show you what we're capable of," one of the callers told him, according to iciLome . An unmarked car went to his neighborhood to identify his house, the journalist said. "I am traumatized and fear for my life," Avotor told CPJ.